Eliot: All right, we're close. I know this neighborhood. I do a lot of business up here. Rita Abromowitz: Really? What do you do? Eliot: Vivian! Will you mind not going around misrepresenting me like that? Jesus. I just don't want anyone to the get the wrong idea that I'm like some kind of school yard pusher. Rita Abromowitz: Oh, I don't mind. In fact, do you have anything for my nerves? You know, just laying around? THE SLUMS OF BEVERLY HILLS (3 outta 5 stars) I figured this was going to be just another silly movie about the trials and tribulations of spoiled rich kids in Cali. Actually it's a pretty good coming-of-age story circa 1976. Vivian (Natasha Lyonne) has just grown breasts and now considers herself deformed. Her dad (Alan Arkin) is a divorced man of almost-retirement-age who has never been able to provide a stable home for his kids and keep dragging them from place to place like nomads (and presumably keeping one step ahead of bill collectors). One brother is a struggling actor and the other is too young to really fit in anywhere. In a desperate attempt to make ends meet Arkin takes in his troubled 29 year old niece (Marisa Tomei), charging his rich brother a fee for keeping an eye on her. So they all move into a small, cheap Beverly Hills apartment block and try to cope. Very funny moments... punctuated by some heavy drama and some unexpected twists. 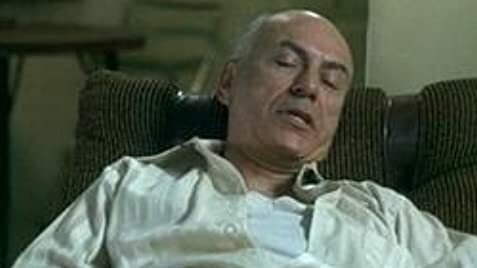 One of the better roles that Alan Arkin had had in recent years... proving that he hasn't lost his touch as he's gotten older (unlike many other comic actors of his generation). I have never been much of a fan of Marisa Tomei but I liked her a lot in this movie. The scenes of her and Lyonne conversing in their "secret language" are priceless!